shamen: shamen special on futuremusic fm. 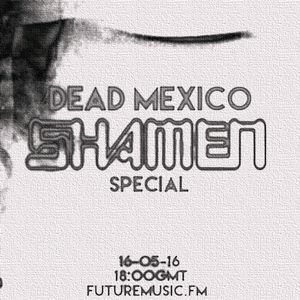 Shamen Special by “Dead Mexico” on FutureMusic Fm. The Shamen also made experimental ambient and electronic music that was more underground than their big hits. ‘Dead Mexico’ is focusing on these tracks for this 2 hour Shamen Special.